Well i made a new outfit for Jeline, my supergem beryl. I have almost finnished it, i’m just waiting for the order or eyelets i made last week. But i would like to talk to you about the new wig i have for her. This is a very special one, as you might have understood from the picture. 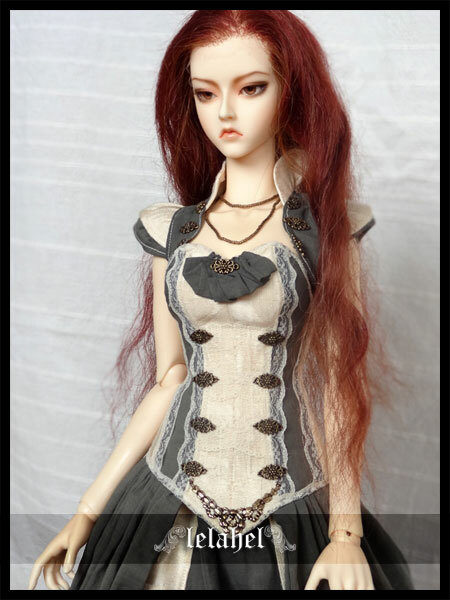 It’s really different from all the wigs we can find for our dolls. This one has been made by a friend, Isabella Jarl. She is a wigmaker and a make up artist for theatre and cinema for more than 20 years. She has an amazing savoir-faire about wigs. 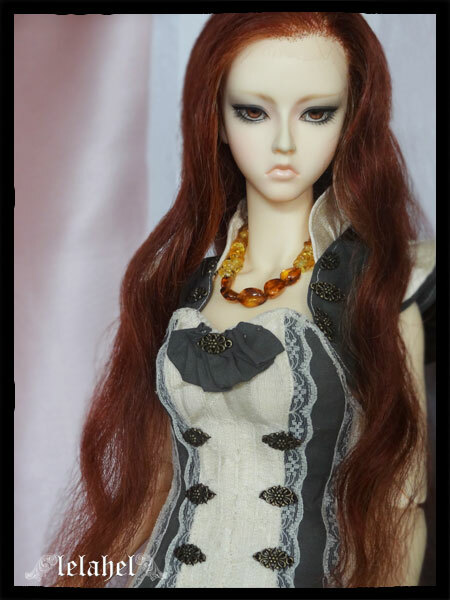 She discovered ball jointed dolls some months ago and she decided to try to make some very realistic wigs for dolls. What is even more amazing is that she implant the hair one by one. This is huuge !! You can make a lot of very different hairstyle with this wig as the hair doesn’t have any direction in the way the hair is implanted. I hope all i’m saying is understandable, sorry for my poor english ! Well anyway, i’m glad to talk about her work and i hope you will like this wig. I know this is quite different from what we’re used to see, but i think it’s quite interesting. If you want to contact isabella, here is her email : isabella.jarl31[at]gmail.com. And she has a facebook page here !